As soon as the plastic film wrapped in rolls begins to unwind in the automatic cutting machine, static electricity begins to be charged, and when the friction on film rolls is added, there is a high static charge on the surface of the film in the stacking area. Stacking of the static charged pieces will lead into slowing of production line and increase of scraps. 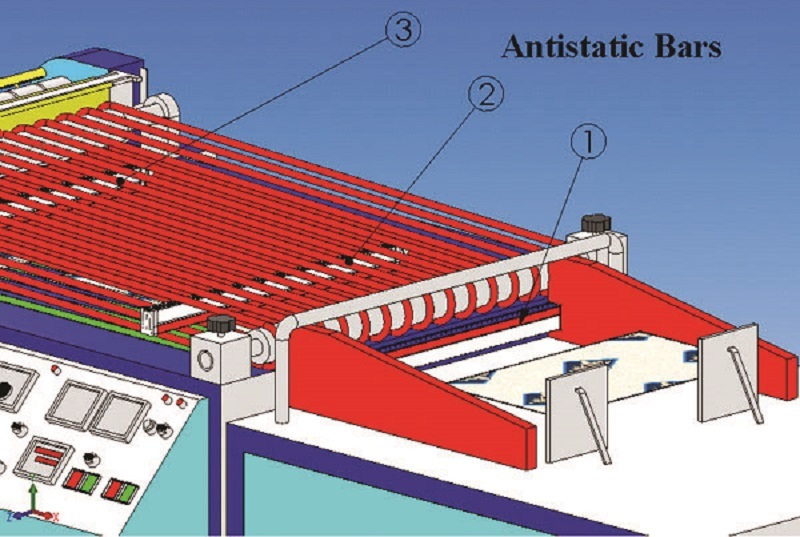 As well as problems such as loss of time and labournwill be taking place.When the static bars are placed over the film surface to charged locations as seen in the figure, the surface of the film will be eliminated from static electricity and prevented by the problems it brings with it.